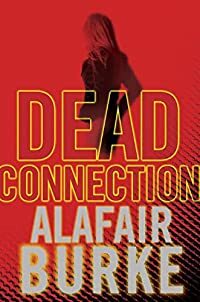 Dead Connection by Alafair Burke: Synopsis and Online Purchase Options. Synopsis (from the publisher): When two young women are murdered on the streets of New York, exactly one year apart, Detective Ellie Hatcher is called up for a special assignment on the homicide task force. The killer has left behind a clue connecting the two cases to First Date, a popular online dating service, and Flann McIlroy, an eccentric, publicity-seeking homicide detective, is convinced that only Ellie can help him pursue his terrifying theory: someone is using the lure of the Internet and the promise of love to launch a killing spree against the women of New York City.